Conjure the memory of the days when records were vinyl and record players were beautiful wooden pieces of art, and hope that you still have that collection, because it could be worth thousands. Over the past 50 years, record collecting has grown significantly, however, the classification of collecting vinyl as an investment is only a recent development. The death of physical music has garnered a lot of attention, as more and more music lovers turn to online downloads for their melody fix. However, recent statistics show that vinyl sales have hit their highest point since the late nineties. Vinyl is a particularly sought-after investment. Not only because of the striking cover designs and warm sound, but also because of the nostalgia that holding a record can evoke. 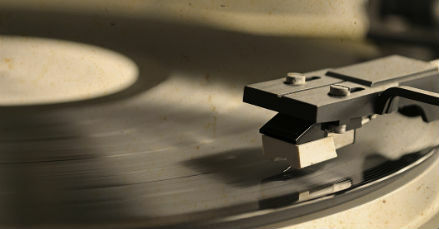 There is a genuine love for all things vinyl and what it represents – high quality and artistic credibility. What’s interesting to note, is that more and more younger investors are turning to vinyl, especially those under the age of 30. It’s possible to use vinyl records as an investment. But only if you really understand the industry and which records are worth the expense and time. The important thing to remember is that it’s highly unlikely that records will lose value. At worst, they will retain their original value. If you can find records from The Beatles, Jimi Hendrix, The Rolling Stones, Bob Dylan and Led Zeppelin, you’re on the right path. As an example, a signed copy of The Beatles Sgt. Pepper’s Lonely Hearts Club Band album recently sold at an auction in Texas for nearly US$300,000. Another avenue to take is looking for the early 1990s. This was the main transition from vinyl to compact disc. Some bands and artists were still recording on vinyl but not mass-producing so nowadays these tend to be worth quite a bit. Just like any other financial investment, always do your research and understand the market before you jump in. Talk to record collectors to secure information about current prices, appreciation over the past few years, predictions for the future of the market and the risks involved. It’s also imperative that you appreciate how best to store your investments. A record in mint condition, by a lesser-known artist may fetch more than a big name that has been played so many times that it’s worn down. Vinyl is valued much like other commodities – rarity, quality, year of production and in vinyl’s case, the artist. There are a limited number of records so it can sometimes be quite difficult to find the one that will afford you return on your investment. Also, remember that there are dealers and investors who buy and sell vinyl for a living. They’re probably holding onto the most lucrative records so, again, it may be difficult to pick up the good ones. As with any investment, keep up with the trends. The appeal and value of music genres will rise and fall much like the stock market. Taking the vinyl investment option is not a case of merely dabbling in the music business. It takes a lot of time and effort as well as networking with dealers and experts in the industry. Do you still have any records? What's your favourite? Share your thoughts on our Facebook page our Tweet using the hashtag #activeretirees.